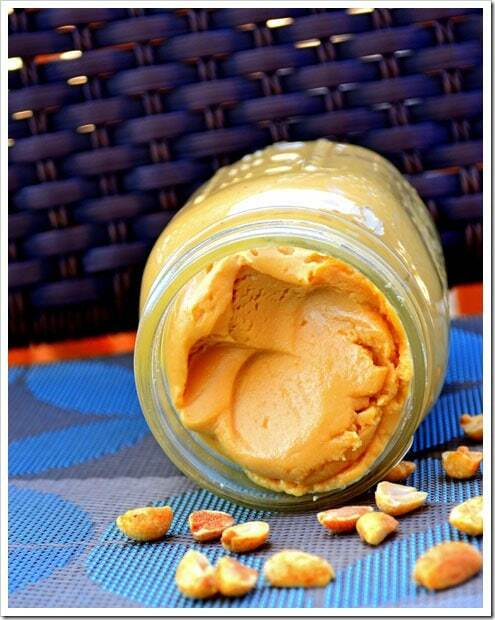 I am on a mission to make ‘home-made’ everything – I started off with Hazelnut butter and then decided to try my luck with Peanut butter ..next on my list is making homemade jam ..Coming back to this recipe, making Peanut butter at home is a no-brainer – I wish I had made this sooner. It took all of 5 minutes and only 2 ingredients. How easy can that be! I have tried 5-6 different types of Peanut butter that one can find in stores and this one wins the taste test hands down plus it helps to know what exactly went into making this awesome food. Though no one in my family is a big fan of Peanut butter, I have always had a thing for it ever since I first tasted it almost 13 years ago and making it at home makes it all the more special. 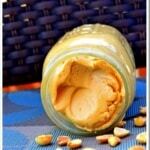 So here’s the recipe for super-quick 5-minute Peanut butter! Hi,I didn’t know peanut butter is so easy to make.I was all the while thinking it needs butter to blend.easy way for peanut lovers to use in the breakfast.good luck to your site.